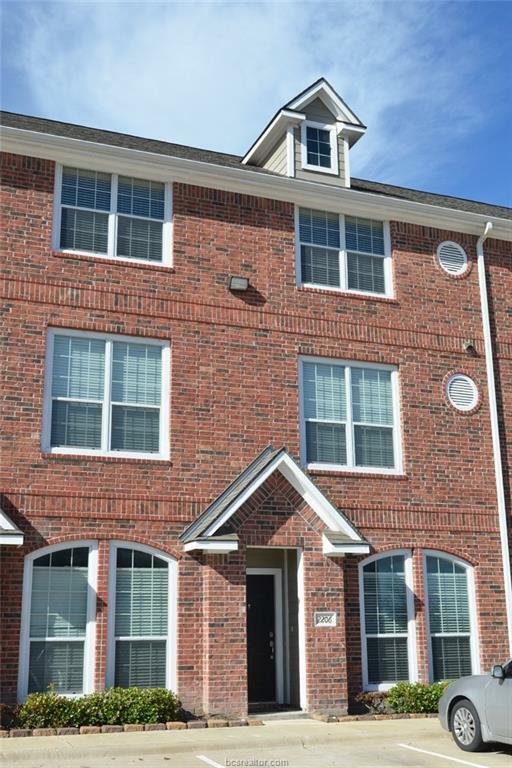 This fabulous Lakeridge Townhomes condo is located approximately 1 mile from Texas A&M with the bus route close by. 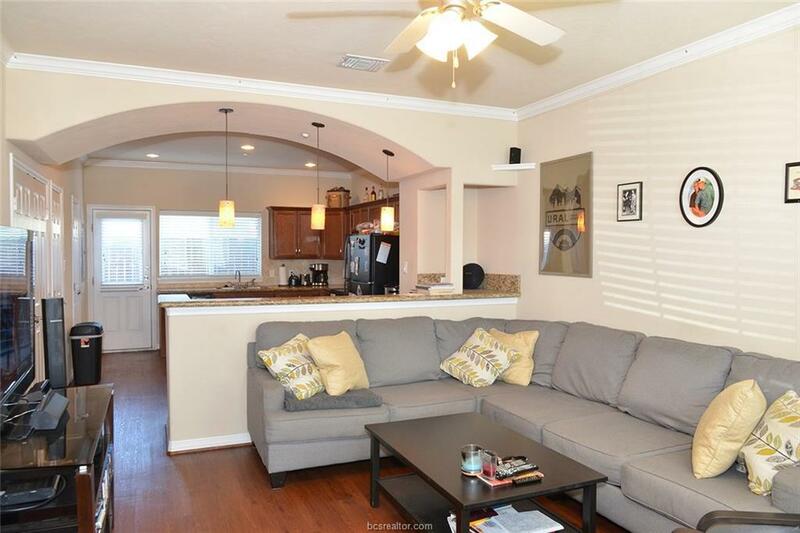 You can't beat the central location in town or within the complex - a quiet back building with plenty of guest parking and easy access to Holleman or FM 2818. With an open concept plan on the first floor it features the living, kitchen, dining, laundry and a half bath. 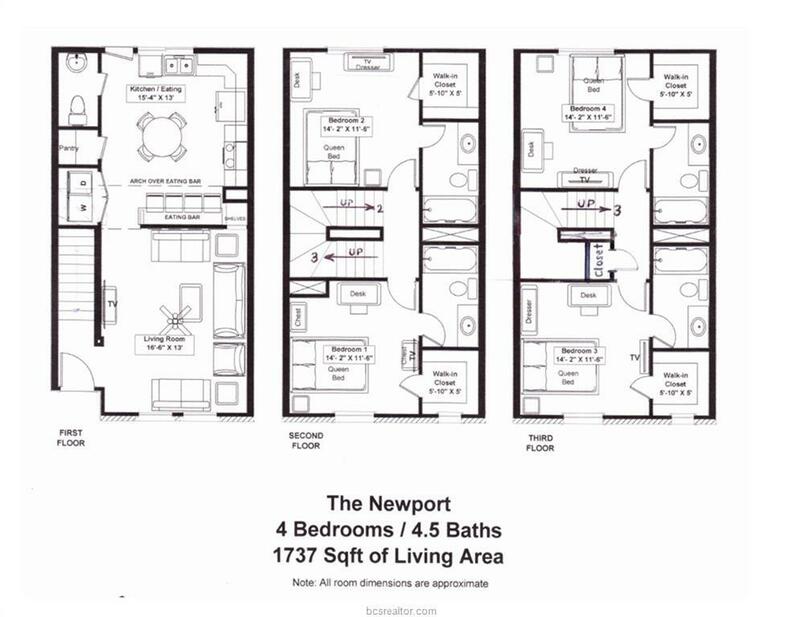 You will find 2 bedrooms and 2 baths each on the 2nd and 3rd floors with walk in closets, and you will have your own designated parking spaces. 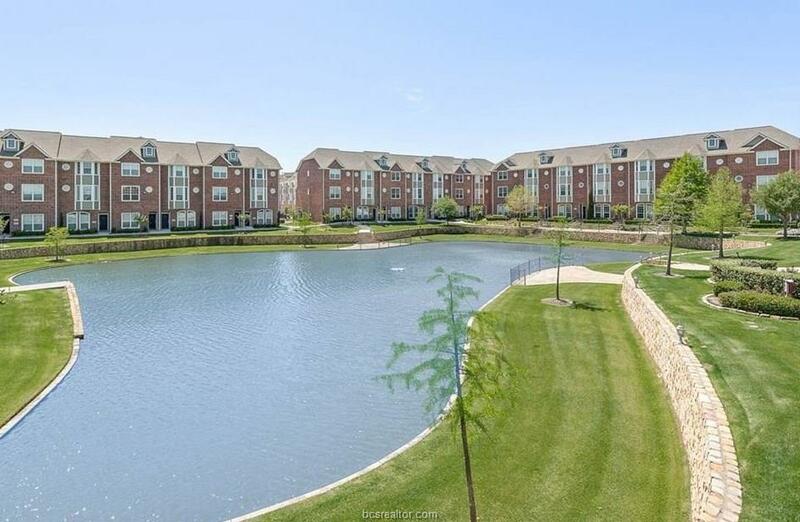 This is a nice and welcoming gated community where you feel as if you were living in a resort area offering a clubhouse, a sparkling pool, fitness center, and a business center. Close to everyday conveniences including the newest HEB in the area as well as area parks and medical facilities. Currently leased through July 31, 2019 for $1000/mo (using only two bedrooms). Tenants would like to extend if possible and are willing to be roommates, but will move if needed.